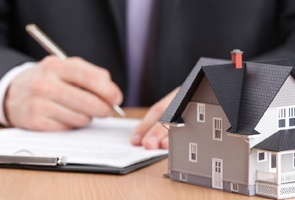 The Federal Trade Commission (FTC)’s rule, The Mortgage Acts and Practices — Advertising Final Rule (or MAP rule) prohibits misrepresentations in any commercial communication regarding mortgage credit. It is also known as “Regulation N” after the rule making authority transferred from the FTC to the Consumer Financial Protection Bureau (CFPB). The rule applies to any and all who engage in commercial communication in the industry - including mortgage brokers, real estate agents, home builders and lead generators/ advertising and marketing agencies. Why is it in place? What are the record keeping requirements? With marketing efforts existing so much online, as well as the broad definition of “commercial communication”, it’s imperative that mortgage brokers, real estate agents, home builders and lead generators understand how this rule applies to their website and social media communications. (3) Documents describing or evidencing all additional products or services (such as credit insurance or credit disability insurance) that are or may be offered or provided with the mortgage credit products available to consumers during the time period in which the person made or disseminated each commercial communication regarding any term of any mortgage credit product, including but not limited to the names and terms of each such additional product or service available to consumers. (b) Any person subject to this part may keep the records required by paragraph (a) of this section in any legible form, and in the same manner, format, or place as they keep such records in the ordinary course of business. Mortgage Lender Amerisave Mortgage was fined for deceptive advertising involving the posting of false rates online. The company was fined $4.5 million and refunded $14.8 million to consumers. Intermundo Media, LLC, under the name Delta Prime Refinance, was fined $500,000 in civil penalties for deceptive online advertising. What can I do to comply? Any person or business to whom this law applies to must make record preservation (offline + website + social media) an important compliance priority. Realtors or brokers that post information about loans online absolutely must collect records of such postings or anywhere where the information has been represented. The same is true for emails, text messages, social media posts and private messages. To comply with part (b) of the record keeping requirements, all whom advertise in the industry must also make efforts to preserve these records in the the same formats in which they first went out. What’s your plan for archiving your commercial activity? How do you plan to prove that your information has not been altered? Find out more about data authenticity and integrity under the Federal Rules of Evidence here.